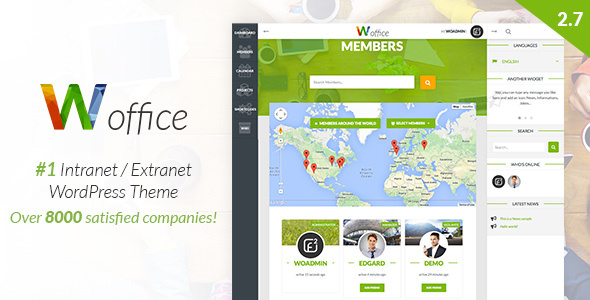 Woffice is a feature rich, powerful Multipurpose Intranet/Extranet WordPress theme. All is wrapped with an easy-to-customize design inspired by Google’s Material Design, giving it a beautifully modern feel and easy to navigate User Interface. Woffice is fully adaptable to a wide range of applications including Business & Government Intranets/Extranets, School Networks, any Community Network and Associations.